22' Wide x 26' Long x 8' High Side Entry Carport with A-Frame Boxed Eave Roof System. Unit has a 3' Panel on Both Sides with Gable on Each End. 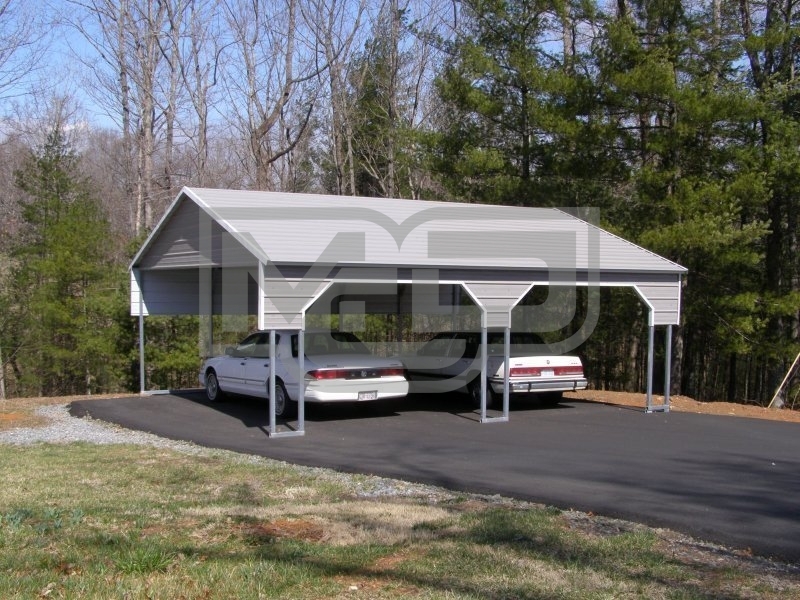 This metal carport has two entries on the near side wall with 45 degree angles and is ideal to match the roof-line entry of a ranch-style home. If you need a side entry unit for more than two cars, we offer a variety of solutions for multiple vehicles. This unit features our mid-grade roof system and it can be upgrade to the best vertical roof system for an additional charge.